Some time ago, Tim Schafer (who needs no introduction, unless you hate ponies and kittens) said in an interview that he’d love to do Psychonauts 2 but no publisher has shown any interest so far (probably because game publishers hate kittens). Then the Nordic gaming viking, Notch tweeted to Tim that “Let’s make Psychonauts 2 happen”. Then, the man behind responsible for Psychonauts for Mac a reality replied he’s in as well. So… let’s see what happens on that front. However, that’s not all as Double Fine is also planning to work on a new adventure game! Yes, an old-school point’n’click adventure game that will at least be somewhat related to dynamic duo of Schafer and Ron Gilbert. And the real kicker here is the way they funded the game. Well, I don’t know why they just didn’t ask Notch and Dragocen again, because both of those guys are loaded but they set up a Kickstarter page to fund it. I can understand why Schafer is interested in these alternative funding schemes that bypass tradtional publishers considering what happened with Brütal Legend. a small team under Tim Schafer’s supervision will develop Double Fine’s next game, a classic point-and-click adventure. so it’s not clear how involved they will actually be. We can always hope. Or we can hope that the duo is involved in something even greater. As with other Kickstater projects, there are some rewards that depend on how much one pledges to the project - and Tim Schafer does not disappoint. For a mere $30,000 you will get a picture of Ron Gilbert smiling. Put in a 5k more and you get an undoctored picture of Ron Gilbert smiling. It’s a rare thing, as one can gather from the pretty enjoyable video on the top of the Kickstarter page. Anyway, for a pledge of $15 you’ll get the finished game once it’s ready in a six to eight months time. That is not a bad price for an adventure game from these guys - and well below the golden rule of not paying more than 20 dollars for a computer game. Initially the goals was that the project will go forward if it gets $400,000 by March 14th. 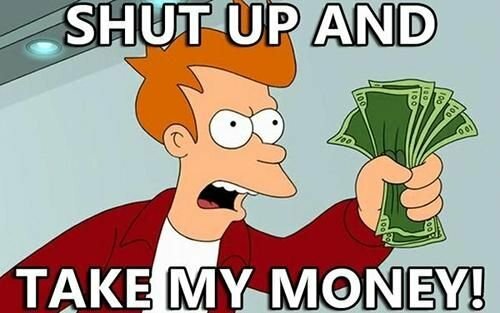 However, the equation of Tim Schafer + Ron Gilbert + adventure games = Shut up and take my money and the project hit $280,000 in less than 5 hours and the goal was hit in 8 hours. Tim Schafer updated the page to clarify that any additional money will be used to make the game (and the documentary) better, with translations, on more platforms and so on. As of writing, the project is now well above $700,000, which starts to worry me a bit. Not only might many people might have pretty high expectations on this one game. I do hope the guys at Double Fine close down the money pledging soon enough, because if that thing hits a million I’m not sure the extra cash is used in the most efficient way, ie. I believe it would be better to make two 400k games than one 1m game and from here on each additional dollar has very low marginal utility (even though I would appreciate a Mac version). This was an interesting experiment from Double Fine and there are some parallels that can be made to Trent Reznor’s experiments with giving away and selling his material (NIN, The Social Network and The Girl With The Dragon Tattoo soundtracks) on the net. However, in both cases the people behind these projects have been geniuses with well-established followers. For more undeground artists, the results will not be as rosy. This post was originally posted on Business Analyst Playing Games.